The Companies Act 1994 is the enabling act in Bangladesh which deals with entire companies affairs; whether it is private, public or company limited by guarantee etc. While company formation and business setup formalities are matters of investment law, corporate transactions covers affairs like holding general meeting, filing annual return, share transfer, M&A, company takeover, company due diligence, raising capital, conversion of private to public or such other transactions, issues pending with Registrar of Joint Stock of Companies and Firms where there is no need for filing petition before company court or bankruptcy court. In a major share acquisition and take over work, ensuring all legal and regulatory compliance etc by conducting due diligence, share valuation and preparing shareholders agreement etc, requires significant experience and team work. Besides, both management and shareholders requires regular corporate advisory support on several issues involving company’s laws and practice. 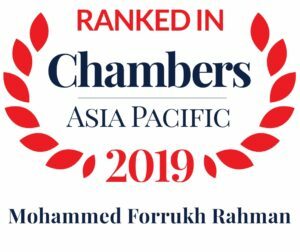 Rahman’s Chambers handled several corporate transactions of different kinds ranging from simple to complex from very inception. 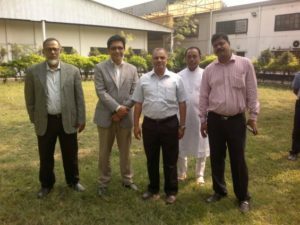 Rahman’s Chambers with our respected client, Mr. Amanullah Chagla, CEO of Saturn Textiles Ltd after take over of Rancon Sweaters Ltd at Dhaka Export Processing Zone (DEPZ), Ganakbari, Savar, Dhaka. 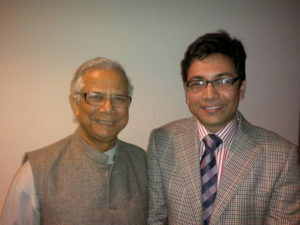 Mr. Rahman with Nobel Laureate Prof. Muhammad Yunus, Chairman of Grameen Danone Foods Limited in signing ceremony of Preference share agreement. Corporate reorganization, takeover, and general corporate affairs are our core practice areas from the very inception. We are working for one major group of companies as their retainer from very inception for nearly 11 years and taking care of their almost all corporate affairs. We have a wide range of expertise ranging from drafting the resolution and filing an annual return to dealing with highly complex corporate reorganization and share acquisition. We acted as a legal consultant on various transactions including issuance of preference shares, dozens of transfer of shares, converting a private limited company to public etc. Our client includes individual stakeholders, local enterprises, foreign investors and multinational companies. I have worked on two different projects with them in the last two years. I appreciate the clear and concise advice given. The service compares very favorably with the service I have received from the top law firms that I have worked with in Germany. Advised and assisted Oriental Container Line regarding the takeover of the company by another OOCL company as part of a global takeover. 100% Share acquisition and Takeover of Rancon Sweaters Ltd, owned by Danish shareholders by an A K Khan entity and MU Union, Kong Kong. Advised foreign investor on 100% Share acquisition and Takeover of Alfa Patterns [BD] Ltd, a ready made garments company. Corporate reorganization of a major leather company and a major foreign investment company in garments and textiles sector among its shareholders. 100% Share acquisition and Takeover of a major knitting company in Bangladesh by foreign investors. Advised Leatherex Footwear Industries Ltd in 100% takeover of Scape E Moda Ltd from B. Z. Moda (BD) Ltd.
Share dilution, restructuring in compliance with legal due diligence, increase of share capital both ordinary and preference shares and other complex reorganization work for a number of companies. Legal Due Diligence of more than two dozens companies. 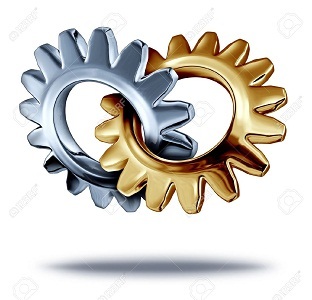 We conduct due diligence for companies before going for mergers and acquisitions or takeover etc. We draft Share Purchase Agreements, Shareholders Agreements, Joint Venture Agreements, non-compete and non-disclosure agreement, escrow agreement etc. and assist in the entire transaction including getting approval and filing returns. We have conducted due diligence for several companies over several transaction over last 10 years. The firm has significant experience on dealing with several takeover projects by new buyer, by the way of 100% transfer of shares, mostly in garments and textiles sector. The said transfer of share and takeover involves not only due diligence but also execution of share purchase agreement, conducting several board meetings and general meetings, and filing out form and many other legal formalities including taxation. The firm also provided post transfer legal support to the client, mostly related to labour issues and taxation. The firm regularly assist client in raising capital by the way of allotting ordinary as well as preferential shares. Our services included drafting complex share agreement as well as filing return with Registrar of Joint Stock of Companies and Firms, also assisting in the process of recording the same. We have successfully assisted Saturn Textiles Ltd and few other companies over raising capital and Uttara Feed over reduction of capital. The chambers assisted a Grameen entity over issuance of Preference shares by preparing share purchase agreement. Mr. Rahman has been acting as a retainer for American based outsourcing companies for long time and a UK based garment manufacturer for nearly 10 years. As a retainer the firm was involved in providing day to day legal support, mostly relating to filing annual returns, drafting and vetting several board resolutions, AGM/EGM resolutions and also provide day to day legal consultancy etc. Preparing Form XII, Schedule X etc. Chambers has significant experience of corporate reorganization in both private and public sector. Corporate reorganization without going for merger, winding up or insolvency is often required among shareholders or within group of companies to address different regulatory issue, management and HR issues and also taxation issues. We have experience of assisting both public sector companies and private sector in this regard. Article: Protection of Minority Shareholder’s Interest (Vol. 1 of 2014).